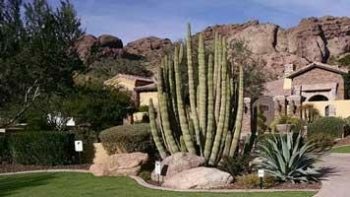 The landscaping contractors at Desert Environments deliver full-service landscaping, from yard design and installation to hardscaping and maintenance. We listen to you, spend time assessing the space, and work with you to accomplish the vision you have in mind. 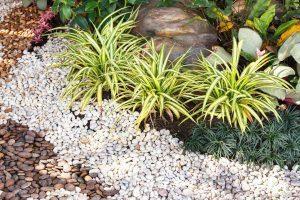 Our team of designers and landscapers offer straightforward estimates with no hidden fees. We understand that customers want to most for their budget, but may not always know what that means. Our landscapers are happy to listen to your yard design plans and help you get the very most for your money. Transform your yard into an oasis and keep it looking great with a landscaping contractor you can rely on! What do you want from your yard? We can build functionality into your landscape design. With the right landscape features, we can create a yard that is an aesthetic extension of your home. Consider entertaining from your outdoor kitchen or built-in wood-fired stove. Maybe you want more lighting and features that create an atmosphere around your pool for enjoying at night. Whatever you have in mind, we create a 3D design you can review before the work begins. We also strive to make the maintenance as easy as possible, with solutions like irrigation systems and low-water plants. Site checks to make sure proper growth and functioning systems. Monitoring of plants including trees, shrubs, cactus, and turf from the date your project is completed. Inspection of irrigation systems including valves, main line, emitters, and time clock from the date your project is completed. Find a landscape contractor who does it all! 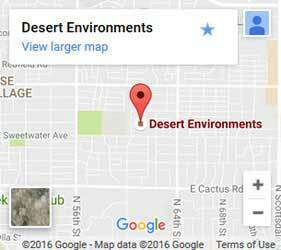 We service all of Phoenix, from the Ahwatukee Foothills to just beyond the Carefree Highway.